The burger joins the Jr. Bacon Cheeseburger and Crispy Chicken BLT as the sandwich options for the deal. The 4 for $4 meal includes a choice of one of the three sandwiches, a 4-piece order of chicken nuggets, small fries, and small fountain drink for $4. 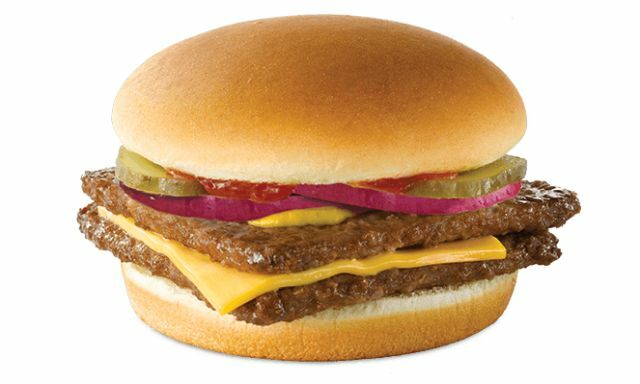 The Double Stack features two beef patties, a slice of American cheese, crinkle-cut dill pickles, sliced red onions, ketchup, and mustard on a toasted plain bun.